I don't know how it happened but I've been wine tasting twice in the last few weeks. First it was in Malibu at the Wine Safari where you hang out with animals like horses, llamas and a giraffe then at Disney California Adventure Park during their Food and Wine Festival. April continues to be the time to get wine'd up as this Sunday, 4.10 at the Lorimar Winery in Temecula you can learn how to use a sword AND taste wines at Adrian Paul's The Sword Experience. 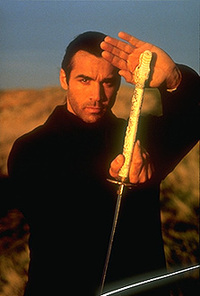 Paul of course was the star of the hit syndicated show Highlander and starred in two feature films as Duncan MacCleod, cousin to Christopher Lambert's Connor. Living through the centuries as an immortal who battles others like him with decapitation as the only way to kill them. With the removal of the head comes the absorption of knowledge set to lightning and rain with a blaring rock soundtrack. For $350 bones, you can train with Paul for 4.5 hours while enjoying breakfast and lunch, a photo with the star and teacher, complimentary wine tasting and a free club membership. If that weren't enough, there's live music afterwards. Paul is taking The Sword Experience on the road, hitting Chicago, Houston, London, Stuttgart and Minneapolis to meet the fans and support his charity, The Peace Fund, which aims to Protect, Educate and Aid Children Everywhere. 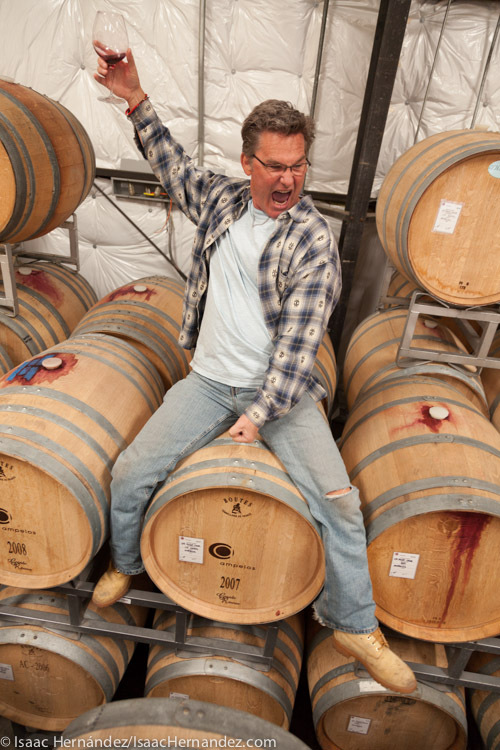 Next Saturday, 4.16 at California Adventure Park you can meet movie legend Kurt Russell and hear him discuss his awesome career and passion for wine making. Apparently the star of Escape From New York, Big Trouble In Little China, Tombstone and Tango & Cash fell in love with the fermented drink while shooting Quentin Tarantino's Death Proof in wine country. Since then, the apprentice winemaker has created small batch boutique label Gogi that offers Goldie Chardonnay and Tiger Pinot Noir. I picked up a bottle of Tiger last weekend and can't wait to crack it open with friends on Friday night. For $199 you can kick back with Russell in the advertised informal 90 minute get-together. Through May you can attend demonstrations and meet the likes of Robert Irvine and Guy Fieri.